Sony will be investing nearly $1 billion into their Nagasaki Technology Center in an effort to boost stacked CMOS imaging production. The company hopes to increase total output of CCD and CMOS sensors to around 60,000 wafers per month although the current level of production is unknown. Sony says the investment will provide new wafer processing equipment, increase the number of production lines and outfit existing lines with equipment necessary to make the sensors. Three Nagasaki TEC Fabs will be upgraded as part of the deal. The company cites rapid growth among smartphones and tablets as the primary reason for the investment. The funding is part of a larger company-wide initiative known as “One Sony” that was announced earlier this year. The strategy will see Sony focus on digital imaging, games and mobile in an effort to generate around 70 percent of the company’s total sales. 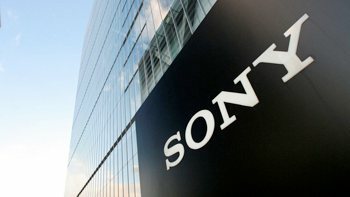 Last month Sony posted the worst loss in the company’s 66-year history, highlighted by poor sales of video game consoles, computers, flat-panel televisions and digital and video cameras. They announced in April that around 10,000 jobs worldwide would be cut over the coming year. Outside of imagine sensors, Sony also wants to reinforce development of lenses and signal processing technologies to use in consumer products and broadcast / professional equipment. The Japanese multinational conglomerate will start funding the project on March 31, 2013 and will continue to do so for a full year, ending on the same date in 2014.